Tune in on Friday, September 7th from 5:30 p.m. to 6:00 p.m. EST. Nancy H. Nielsen, MD, PhD President-Elect American Medical Association will join Barbara Ficarra, RN, BSN, MPA, Host/Executive Producer of Health in 30™ to talk about the uninsured. Tune in to find out what your can do about healthcare reform. The AMA’s highest priority is expanding health insurance coverage to the uninsured. Nancy H. Nielsen, MD, PhD, an internist from Buffalo, N.Y., was elected president-elect of the American Medical Association (AMA) in June 2007. 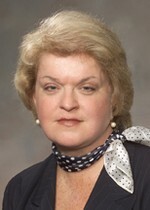 Dr. Nielsen was Speaker of the AMA House of Delegates (HOD) in June 2003 and re-elected in 2006. She is a delegate from New York and previously served two terms on the AMA Council on Scientific Affairs (CSA). Dr. Nielsen worked with colleagues on the CSA to help formulate policy positions for AMA-HOD debates on the diagnosis and treatment of depression, alcoholism among women, Alzheimer’s disease, priorities in clinical preventive services, colorectal cancer screening, asthma control, nicotine content of cigarettes and safety in dispensing prescriptions. Among other AMA positions, Dr. Nielsen has served as a member on the National Patient Safety Foundation Board of Directors, the Commission for the Prevention of Youth Violence, and the Task Force on Quality and Patient Safety. She currently serves as a delegate to the AMA Organized Medical Staff Section and Medical School Section, and she is a liaison to the Council on Medical Education. In 2002, Dr. Nielsen was appointed to serve on the Secretary of the U.S. Department of Health and Human Services Advisory Committee on Regulatory Reform. She has been the AMA representative on several quality initiatives, including the National Quality Forum, the AMA Physicians Consortium for Performance Improvement, the Hospital Quality Alliance (HQA), and the Ambulatory Care Quality Alliance (AQA). She serves on the Institute of Medicine’s Roundtable on Evidence Based Medicine, and on the Consumer Empowerment Committee of America’s Health Information Community (AHIC). Dr. Nielsen was Speaker of the Medical Society of the State of New York House of Delegates, and a member of the board of directors of the Medical Liability Mutual Insurance Company–one of the largest malpractice carriers in the country. She has also served as president of her county medical society and of her hospital’s medical staff. Dr. Nielsen holds a doctorate in microbiology and received her medical degree from the State University of New York (SUNY) School of Medicine and Biomedical Sciences in Buffalo, where she is clinical professor of medicine and senior associate dean for medical education. She has served as a trustee of SUNY, and as a member of the board of directors of Kaleida Health–a five-hospital system in western New York. She is currently Chief Medical Officer at Independent Health Association, a major health insurer in New York. Dr. Nielsen, who was born and raised in West Virginia, is the mother of five children. To find out what you can do go to VoiceForTheUninsured.org! « Back Pain with Daryll C. Dykes, M.D.